Soham Mukherjee, a second year student of post graduate programme hailing from Kolkata, was found hanging from his hostel room, police said. Lucknow: A 25-year-old student of the Indian Institute of Management-Lucknow (IIML) allegedly committed suicide on Wednesday by hanging himself from the ceiling fan of his hostel room in the campus in Madiyaon area, police said. Soham Mukherjee, a second year student of post graduate programme hailing from Kolkata, was found hanging from his hostel room, they said. As the room was locked from inside, the police prima facie was taking it as a case of suicide but no note has been found, the police said. Mr Mukherjee was an engineering graduate from Indian Institute of Technology (IIT), Guwahati, and worked for a multi-national firm for a couple of years before taking admission in the IIM, Lucknow last year. The police has seized laptop and mobile phone of the victim and are trying to get more details, they said. Initial probe suggested that the victim was under depression may be due to some personal problem as he was not attending his classes since November 12 and was not picking up his classmates and other hostel mates' calls since morning, the police said. It was his hostel mates, who spotted the body hanging from the ceiling fan and then the IIM administration informed the police, they said. The exact motive behind the suicide could not be ascertained yet and further probe in on in the matter, the police said. The victim's family, staying at Jodhpur Colony of Kolkata's Lake Garden area, have been informed, they said, adding the body has been sent for post-mortem examination. 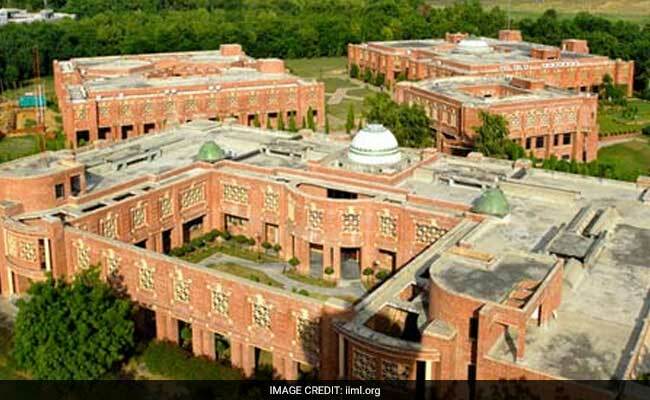 The IIM administration expressed grief on the student's death and a press communique from the IIM read that he was a consistently well performing student.